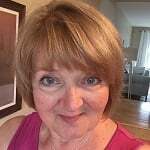 Susan has been engaged with young children and their teachers in many ways over the last 30 years, as an Early Childhood Educator, Director, Practicum Supervisor, and Teacher Educator. She teaches curriculum courses at the NS College of Early Childhood education, and provides professional learning experiences for educators across Canada and the U.S. She is very much inspired by the pedagogy of Reggio Emilia schools. Susan’s practices and writing are based on inquiry-based, emergent approaches, and she presents frequently on Emergent Curriculum & documentation, reflective practices, and inquiry. She is the author of Emergent Curriculum in Early Childhood Settings, Unscripted: Emergent Curriculum in Action, Pedagogical Documentation in Early Childhood, and Inquiry-Based Early Learning Environments, all published by Redleaf Press. Susan was raised and educated in England, received her graduate degree from Pacific Oaks College, and now lives in Dartmouth, Nova Scotia.